Blend drinking chocolate and hot water in a high-speed blender for 1 minute. 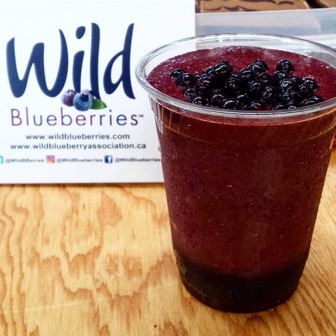 Add frozen wild blueberries and blend for 30 seconds. Pour into serving glasses and top with fresh wild blueberries and roasted cacao nibs.